Considered the birthplace of religious freedom, Maryland is a state in the Mid Atlantic region of the country. 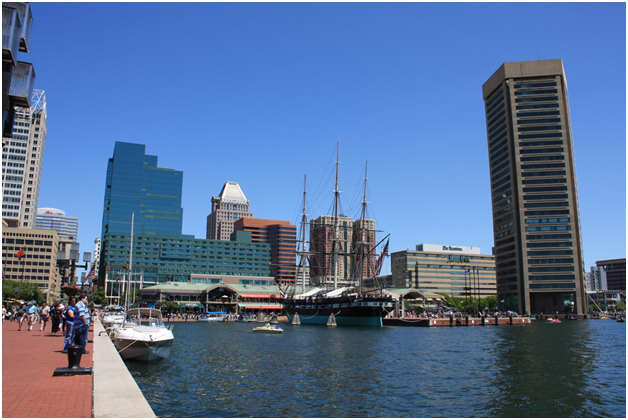 Its largest city, Baltimore, has a vast history of being a major seaport. 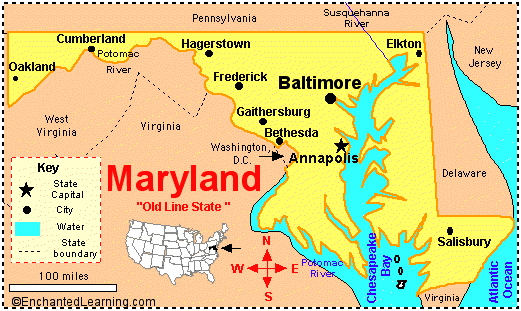 Maryland boasts many goods and attractions such as the Inner Harbor, National Aquarium, and the Great Falls. Maryland is recognized for Fort McHenry, a historical coastal bastion fort known for its role in the War of 1812 against the British. As a result of events that transpired in this fort, the national anthem of the United States, the Star Spangled Banner, was born in this Baltimore goldmine of history.